We will be presenting our current projects and works at the Sluice Art Fair, which is both exhibition space and platform for discussion and creation. Featuring an open layout for expansive installations, performative works and screenings including a multifaceted supporting programme consisting of a preview breakfast, panel discussions, art-making educational activities for children and young people and artist publishing bookstands. Primarily (but not solely) focusing on artist run not-for-profit spaces, sluice does not wish to be didactic but rather provide an informal and accessible temporary platform for young galleries and project spaces to exhibit their artists’ work, gain exposure and encourage dialogue between artists, curators and audiences. Located in central London, a few minutes walk from Bond Street Underground station. Running over the weekend of 15-16 October with late opening and free entry SLUICE is designed to enable access to all. SLUICE will serve as a punctuation point to the London Art Fair week. 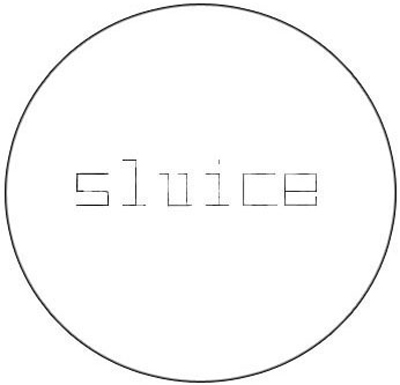 SLUICE is organised by the London based artists Karl England and curator Ben Street. Rainer Ganahl at 3pm on Sat 15th October 2011 "Engel's condition of the working class revisited" Which is a talk about the condition of the working class in england. Kate Janes at 3pm on Sun 16th October 2011. Kate Janes will be contributing to the Sluice art fair by doing a performance entitled ‘ Demonstration’, where there will be a series of drawings made and objects photographed in the space. www.katejanes.co.uk. Sunday 3 - 4pm performance area. We will be showing the latest version of our What is an Art book? project, as well as audio and video from our previous talks.